Mohamed Omran, chairman of the Egyptian Financial Supervisory Authority (EFSA) speaks at the Egyptian Third Annual Leasing Conference in Cairo on October 16, 2018. 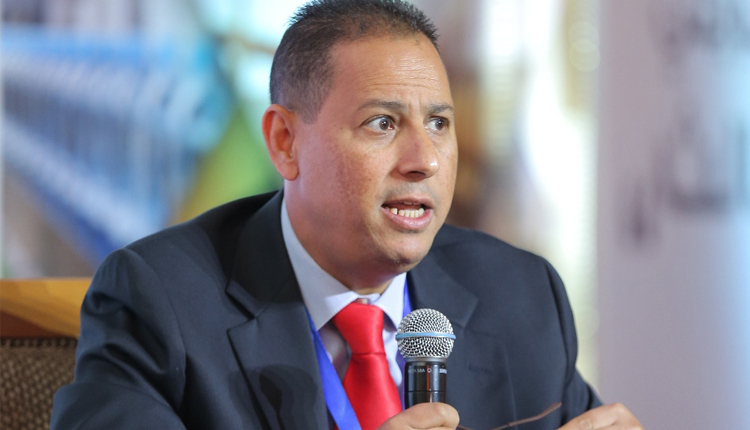 The Financial Regulatory Authority has decided to form a committee to elect a board, the first of a newly established Egyptian federation for securities, its Chairman Mohamed Omran . The committee will also be tasked with outlining measures for FRA accredited companies to conduct any of the activities related to securities, Omran said in a statement Monday. It should also prepare for a first general assembly meeting of the federation, he added. Decisions of the committee are only endorsed in the presence of the majority of its members, Omran made it clear.